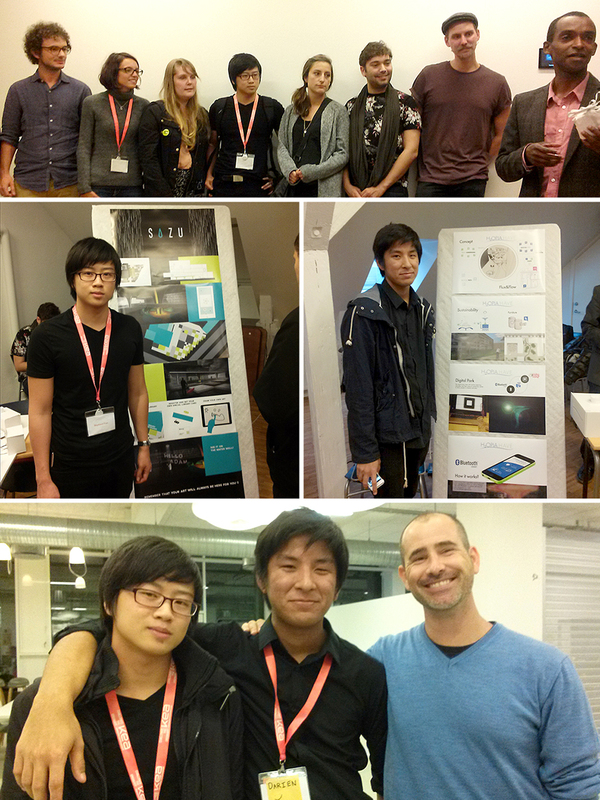 Raymond Tran’s team won 1st Place in the Copenhagen School of Design and Technology’s KEA Charette 2014! Architecture/Landscape/Interiors juniorsRaymond Tran and Darien Noguchi traveled to Copenhagen to participate in the charette with Darren Grosch, Otis’ Director of International Education, who also served as an advisor for Raymond’s team. Raymond and Darien were assigned to different teams, each team with students from Brazil, Canada, Denmark, Germany, Holland, Italy, Sweden, USA and/or the UK. Raymond’s team consisted of seven students: three architecture students from Italy, two graphic design students from Canada, and one multi-media student from Brazil, as well as Raymond, from Otis/USA. Their winning project, “Sozu,” was “a water based structure emphasizing meditative reflection and tranquillity.” Raymond and Darien enjoyed rooming in the hostel with students from other countries as well, as arranged by KEA. Raymond roomed with a Brazilian student and Darien with a student from London. Congratulations Raymond and Darien on your outstanding participation in the KEA Charette 2014!